In the game of poker Texas hold 'em, each player is dealt two "hole cards," which they keep to themselves. Then three cards are dealt face up - also known as The Flop. The fourth card dealt up is The Turn and the fifth card is The River. Sometimes a player will get the two cards he needs on The Turn and The River - a very lucky break that is also known as "runner runner". Wish I could said I wrote that because I'm such a cool card shark, but no, I looked it up because I wanted to know the meaning behind Director Brad Furman's new movie staring Justine Timberlake - aka JT and Ben Affleck. 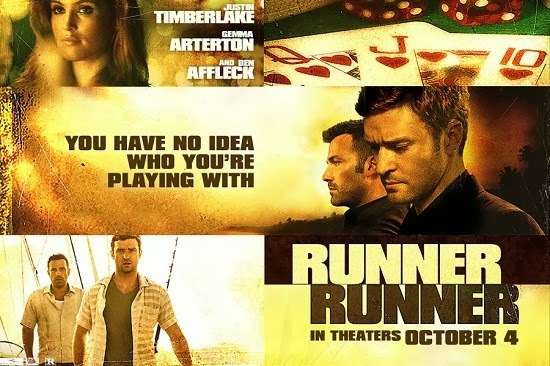 T&T Runner Runner Synopsis: Richie Furst (Timberlake) is smart, not genius smart, but he's quick, good with figures, understands the market etc... He had a job on Wall Street before the crash, now he's back in school, getting his Masters at Princeton, but tuition is a bit** and he's gotta figure out a way to pay for his education. It's not gonna come from his gambling addicted, washed up father, who is played by John Heard, but I could have sworn throughout the movie that it was Ryan O'Neal! 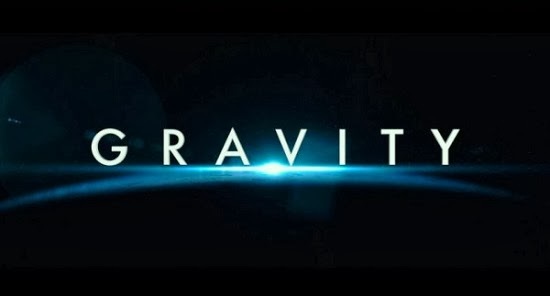 Anyway, Richie covers his nut by being an online gambling affiliate for a company called Midnight Black, owned by a guy he knows nothing about other than his name - Ivan Block (Affleck). When Richie's little on campus bookie money making scheme gets found out by the Dean, and he's told to stop or be expelled, Richie decides to do a little online gambling himself and gets taken. But he doesn't just lose, he's cheated, so off he goes to the Midnight Black Affiliates Conference in Costa Rica to meet Block in person and give him proof that someone in his online gambling empire is shady. 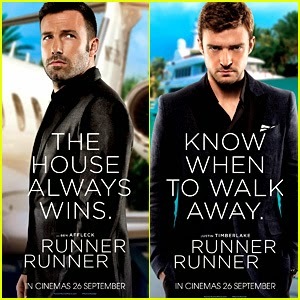 What's pleasing to me: are both Timberlake and Affleck in these roles. Timberlake can really hold his own as a protagonist. He balances cocky with sincerity and over his head with I got a plan, to perfection. Affleck too understands Block - this is the kind of man who acts like he just got lucky in his venture, but he's still just a regular guy; then once he's earned your trust, he becomes a cavalier, greedy, dirty motherf*ck!r. What's more: There's a slew of gambling movies, but this world of online gambling is something new to explore. According to the American Gaming Association, Americans spent 2.6 billion on illegal online gambling websites in 2012. Illegal gambling websites operate in the shadows. They are not regulated by the United States government (well, nothing currently is being regulated by the government, but that's another story) and lack consumer protections against cheating, money laundering and underage gambling. All of which, except for the latter, occur in Runner Runner which is why FBI Agent Shavers (Anthony Mackie) will do ANYTHING to take Block down, even if it means sacrificing some of Block's affiliates. I've had some online gambling people approach Tinsel & Tine from time to time: In the beginning I fell for it - marketing companies would contact me and say we'll pay you to post links to this gambling site or that - but they never do pay and what's more, they only want the link up for a limited amount of time - the first time I was told they were having issues with their paypal account and that I should remove the link until they could get it resolved. Of course they never got it resolved and I never heard from them again. Stupid me fell for it a second time, the next company really seemed legit, I posted the links, waited to get paid and then was told a couple days later that the company was not happy with the post and asked me to remove it, of course I never got paid for posting in the first place - So bloggers beware! We all want to monetize our sites, but we also want our sites to have integrity and remain above board.